As far as the retail world is concerned, Christmas is “on”. 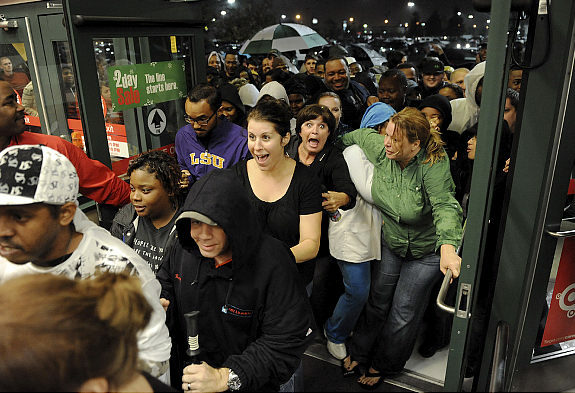 Today, after all, marks one month until Christmas, and this year is also “Black Friday”. A term coined in the US for the day after American Thanksgiving, it’s deemed to be the day of brisk sales that moves a retail establishment from the ‘red’ to the ‘black’. It’s sort of the American equivalent to our Boxing Day, but on the other side of Christmas. Many radio stations are playing Christmas music, and though we have no snow on the ground (at least where I live), there is a sense that the season is upon us. However, the waiting has just begun. “All earth is waiting.” It doesn’t seem like that, does it? No, it seems as if nobody’s interested in waiting, only in getting on with it. But if you’ve ever been a parent – especially a mom – you know that giving birth involves quite a lot of waiting…not less than nine months of it, normally. Year after year, it never fails to amaze me that God does great and amazing things through this season, culminating on Christmas Eve and Christmas Day. As God’s people gather to worship, bringing their friends along, the Spirit speaks in ways beyond what we can understand. That never gets old. And it’s what I wait for as I prepare for the birth of the Saviour. “You will conceive and give birth to a son, and you will name him Jesus. He will be very great and will be called the Son of the Most High. The Lord God will give him the throne of his ancestor David. And he will reign over Israel forever; his Kingdom will never end!” (Luke 1.31-33, NLT). P.S. : This is my weekly “Encouragement From The Word” email, sent out to many subscribers. If you want to receive it in your email, go to my “about” page and send me an email. I’m glad to add you to the list, and promise no spam! Next postDecluttering Christmas: Let Come!